Design an evergreen hanging basket at this fun workshop and add cheer to your front entrance this holiday season. Perfect for gardening enthusiasts in the Smiths Falls and Ottawa Valley Region. Is your front porch looking empty where your hanging baskets once were? Design an evergreen hanging basket at this fun workshop while adding cheer to your front entrance this holiday season. Added bonus: enjoy fresh cut greens that stay beautiful right up until March. Bling it up with our extensive line of trendy outdoor accents; berries, pinecones, lotus pods, birch slices, palm caps, budha nuts,cane circle and more! *Reserve your space in this workshop for a deposit of $10, plus tax ($11.30). A $10 deposit is required for each person attending. Choose from many hanging basket styles starting at $4.99 and up or bring your own. Lights and berries in photo not included. If registering more than one person, please provide the name(s) and phone number(s), of each person attending, in the notes section when you check out. Thank you. If you see a workshop is full, please contact us as we may have cancellations or space for a few more. Falling leaves signal the beginning of the fall clean up season. 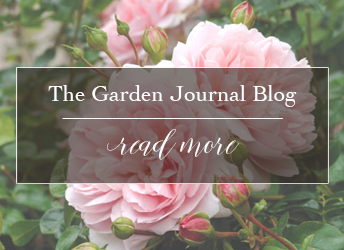 Let's get your garden Winter ready with Gemmell's Fall garden tasks. Autumn has arrived and with it come the benefits of Fall gardening. It's the perfect time for moving / dividing perennials or planting Spring bulbs & adding more colour. Join our community of more than 10,000 plant loving friends. Subscribe to our newsletter where we will keep you up to date with current garden trends, seasonal advice, upcoming workshops, and promotions! Brockville Shopping Centre 125 Stewart Blvd.